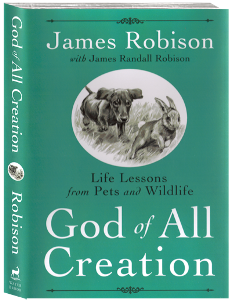 James Robison recalls many of the life lessons he has learned from his little dachshund, as well as other animals he has observed in nature. James’ spiritual thoughts and insights can help you learn to hear God’s voice, submit to Him and trust Him for your every need. Order multiple copies of God of All Creation for only $5 each, for a limited time only.